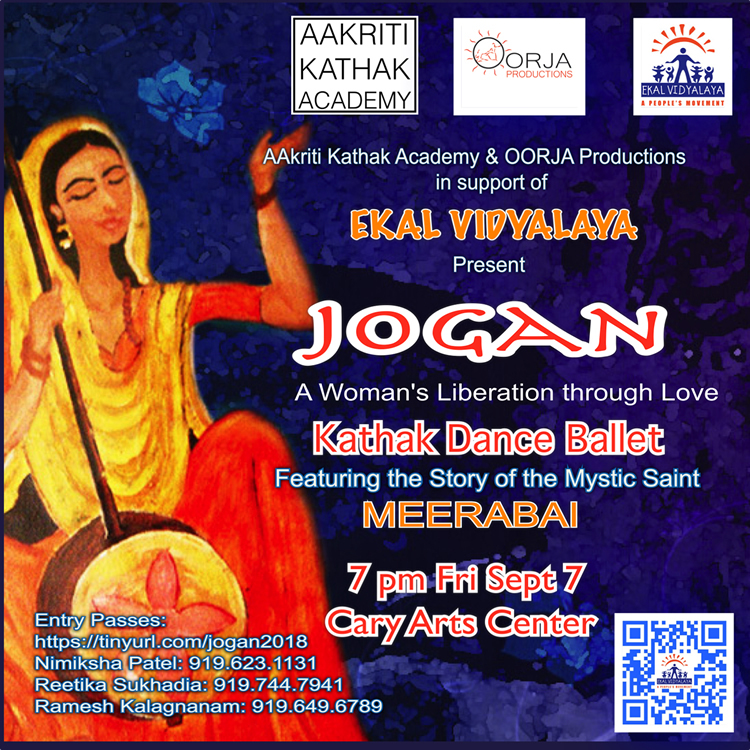 This Kathak dance ballet will pay a tribute to the Hindu mystic saint Meerabai. It will sketch her life through the kaleidoscope of songs and dances that have been immortalized by millions. All songs are writings of Meerabai herself and original music has been recorded in India. Each scene will depict a different aspect of Meerabai’s life immersed in devotion, longing, love, passion and surrender. Each song will also highlight a different aspect of pure dance as well as abhinaya (story-telling). Seating is first come first serve within your ticket tier. You do not have to print the online ticket purchase receipt/confirmation. Just tell your name at front desk and volunteers will confirm the entry registration & issue wrist bands.